Encounters with wildlife are more accessible than ever, with a bewildering array of adventures on offer. With 20 years’ experience travelling the globe, Ian Wood selects his favorite animal hot spots, from tracking mountain gorillas to kayaking with alligators in the Everglades; from being up close with elephants on a walking safari to snorkeling with whale sharks and climbing in search of condors. 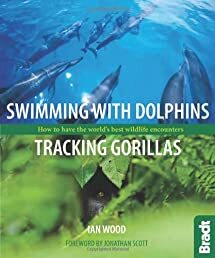 With stunning imagery throughout, this is the perfect present for anyone with an interest in seeing wildlife and planning that journey of a lifetime.